Calling all my Starbucks fans! 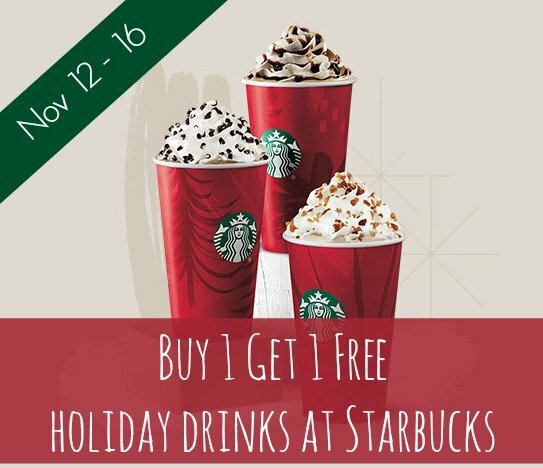 Starting November 12th, you can get BOGO holiday drinks! From November 12th-November 16th between the hours of 2-5pm (2-6pm for Starbucks Rewards Members) when you purchase select beverages, you will get a second beverage for free!